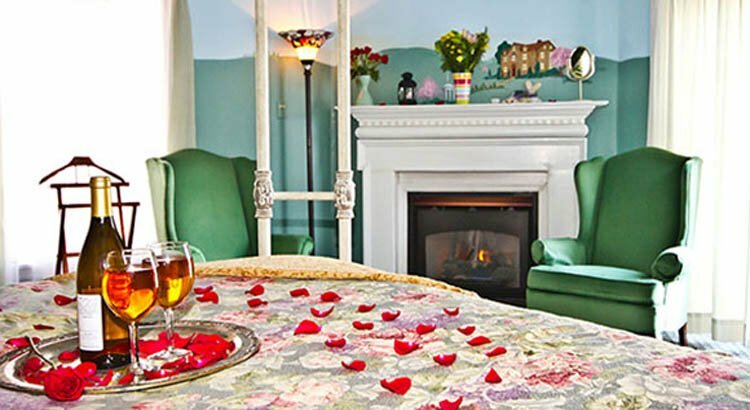 Like a glistening castle located at the top of a hill sits Maryland’s best-kept romantic secret – Elk Forge Inn, in Elkton, MD. Hop in your car and take a short road trip to Cecil County, Maryland. From Baltimore, Columbia, Washington, D.C., and Arlington, VA, you're only 1-2 hours away from the quiet and quaint town of Elkton and the lovely Elk Forge Inn. Traffic is minimal to non-existent, and the area's stores and shops are hardly ever crowded. The Elk Forge Inn Bed & Breakfast became a historic site in 2007. Innkeepers Dr. Harry and LeAnn Lenderman (BSRN, MMgt.) own and have been managing this 14-room paradise for the past 20 years, which began as their home 40 years ago, and remains so today. In 1978, the Lendermans added a conservatory, five additional suites, a conference room, and a commercial kitchen to upgrade and eventually transform their home into a bed and breakfast. 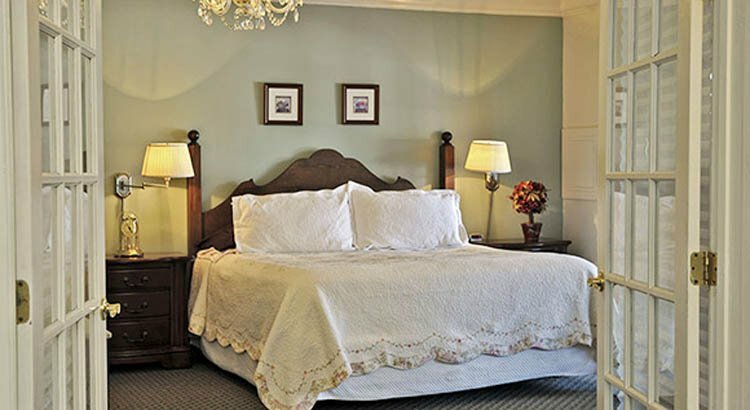 Each suite is beautifully designed and features a different historic theme, private bathroom, comfortable sleep support mattress, complimentary Wi-Fi, high-speed internet access, plush bathrobes, whirlpool/jacuzzi for one or two, gas or electric fireplace, cable TV and DVD player, and a king or queen bed. Visit the website to view each room and all the various room amenities -- not all rooms have the same specialties! 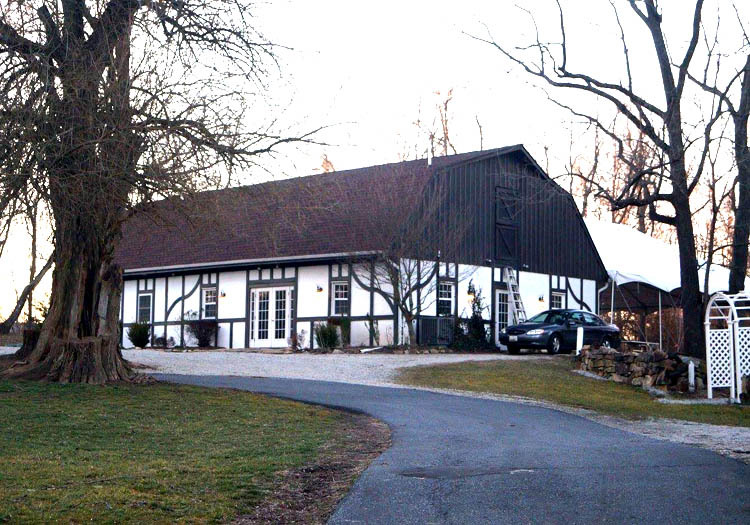 The Elk Forge reception hall sits up the hill, within walking distance of the inn. 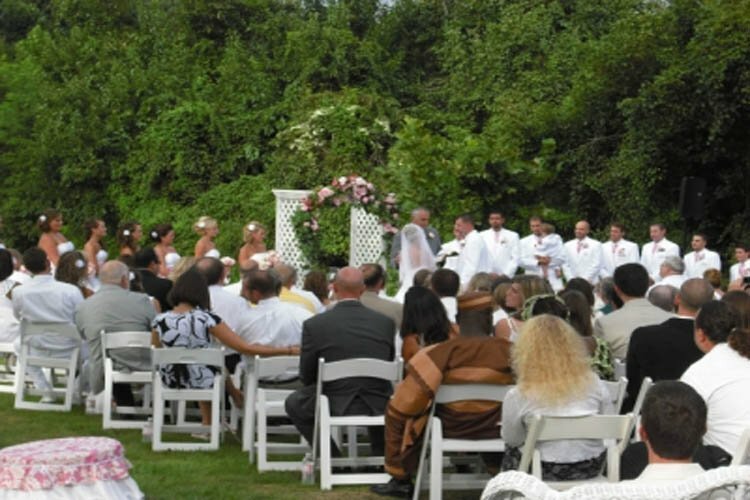 Here guests may enjoy their weddings, receptions, anniversaries, parties, and other types of celebrations. There is plenty of parking on-site, and the outdoor patio is perfect for live entertainment such as an orchestra, band, or various musicians. Harry says he’s managed the inn for so many years because he loves meeting different people. Although most of Elk Forge’s business is comprised of couples, weddings/receptions, writers, and artists, they also host corporate events, business meeting, and retreats. 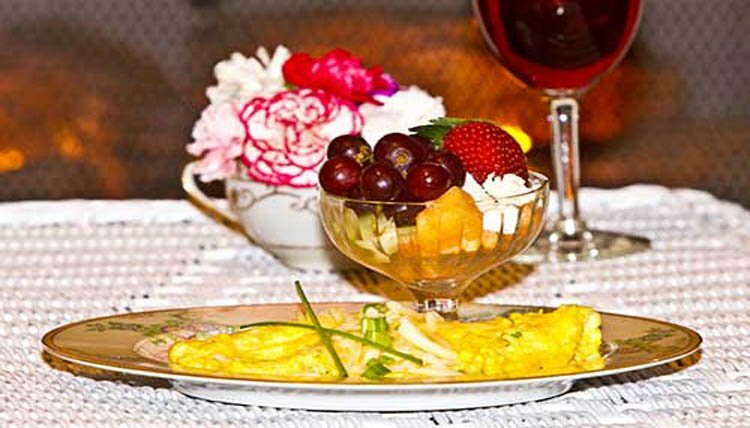 Each morning from 7:30–9:30 a.m., prepare yourself for a mouth-watering, full-course, healthy breakfast, consisting of your choice of gourmet eggs, boiled eggs, apple or plain French toast, maple sausage, a variety of juices, delectable pastries, homemade granola, a selection of hot-off-the-grill waffle flavors, a fresh fruit compote of raspberries, blueberries, and strawberries, coffee, specialty teas, home-baked bread, and fresh fruit. Buffet-style eating allows guests to enjoy an all-you-can-eat meal while dining in the breath-taking, stained glass-enclosed atrium that overlooks the outdoor patio, garden and nature trails. Another delightful feature of the town of Elkton is that it’s situated in what the locals call "The Wedge," with Pennsylvania on one side and Delaware on the other. You are only 30 minutes or less from the Pennsylvania and Delaware borders, and less than an hour from Philadelphia. Do you get excited about finding great bargains and shopping? Well, Delaware shopping outlets are close by. Between the two of them, Harry and LeAnn wear multiple hats. Although LeAnn does most of the cooking, Harry also cooks and assists. LeAnn is the wedding planner, and Harry helps organize the weddings. In addition, Harry is the dishwasher, Mr. Fix-It, host, tour guide, groundskeeper, delivery man, etc. Both Harry and LeAnn are ordained ministers and perform many of the on-site weddings. Why not get pampered while you’re there with a luxurious, relaxing massage? Elk Forge’s Tea Garden Spa provides guests with eight different types of massages, facials, body wraps, and body polishes. You may even select a nine-hour spa day which includes a luncheon and tea service. Want to enjoy a little entertainment without leaving the Inn? There’s never a dull moment at Elk Forge’s Sugarhouse, with various dinner theatre performances, plays, teas, and other events. The best way to find the inn is via the internet, which Harry says is how they do most of their advertising these days. 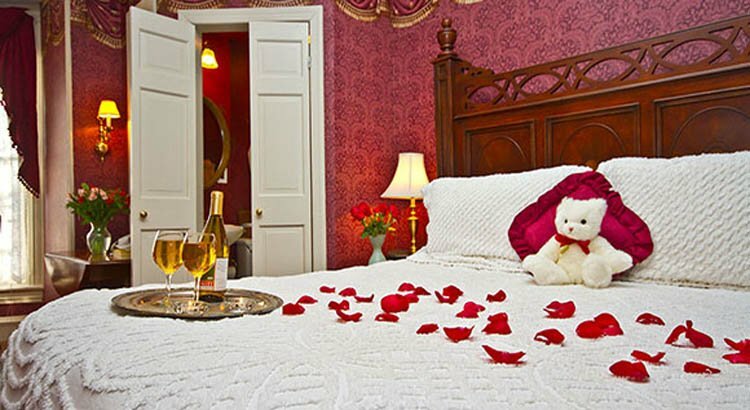 So, if you’re looking for a quiet, peaceful, tranquil, romantic, charming and beautiful place to get away from the hustle and bustle of city life, stress, kids, bad news, etc., make plans to spend time relaxing at the Elk Forge Inn Bed and Breakfast for a getaway you will never forget. 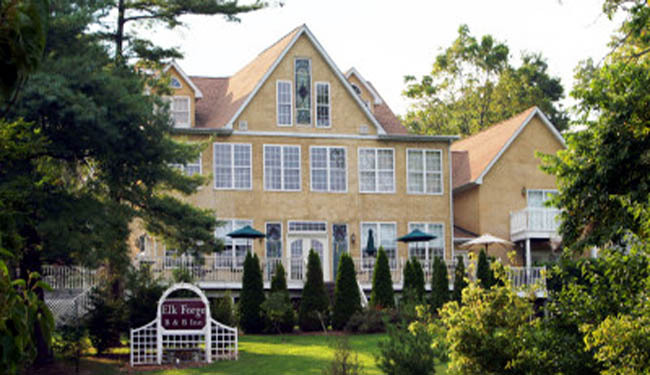 Elk Forge Inn is located at 807 Elk Mills Road, in Elkton. 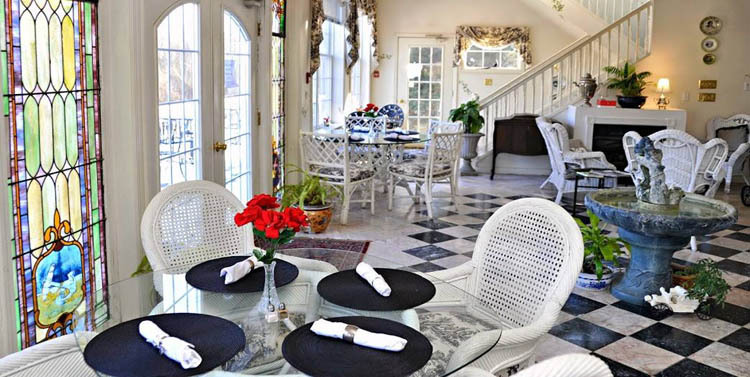 Visit the Maryland Bed and Breakfast directory for a complete list of all the fabulous Maryland inns. **All photos courtesy of Elk Forge Inn B & B. What's your favorite Maryland getaway? Tell us in the comments below! Have you made your summer beach plans yet? Do you head to Ocean City or Virginia Beach? Weigh the pros and cons of each destination here!